Kamusta! Welcome to the Eco Pages of the Philippines! This small country is home to a range of landscapes, from mountains to beaches with crystalline blue waters to grassy hills and forests. The Philippine people are known for their friendliness and colourful culture. Green local businesses are found throughout the Philippines, and range from environmental consulting companies to food chains and restaurants offering natural and organic products. Going green is becoming easier all the time, and if you’re not sure where to look the Philippines Eco Pages will point you in the right direction! 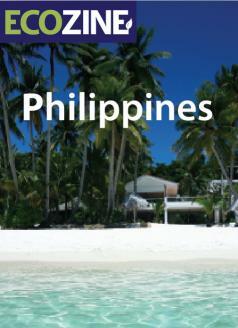 Spending your holidays in the Philippines? Get underwater and swim with tropical fish, sea turtles and beautiful corals by picking your favorite diving package from responsible businesses in the Scuba Diving category. Soak up the sun on Luzon beaches, and relax at the divine spots found in the Spas and Resorts & Retreats categories. With the Philippines being one of the major manufacturing centres in Asia, a variety of environmental technology products are available locally; check out our Technology listings for products and services including lighting products, energy saving devices, green building materials and renewable energy technologies.